At the competition kick-off in September, Penn researchers and last year’s Y-Prize runner-up spoke on new inventions, taking the innovative approach, and why participation matters. For six years, the Y-Prize Competition, co-hosted by Wharton’s Mack Institute, Penn Wharton Entrepreneurship, Penn Engineering, and Penn Center for Innovation, has awarded the best commercial applications of emerging Penn technologies. The annual winning pitch receives $10,000 and a nonexclusive license to use the tech to solve real-world problems, but Prof. Kathleen Stebe — Richer & Elizabeth Goodwin Professor, Deputy Dean for Research in Engineering, and a researcher behind one of this year’s two featured inventions — believes that participation itself is the best reward. This year, the technologies are inspired by natural phenomena. Like the Venus flytrap, Embodied Logic structures can respond to specific stimuli, like water, without using any electronics. Jordan Raney, Assistant Professor of Mechanical Engineering and Applied Mechanics, said the structures can be implemented in “rudimentary” robotics, for example, to open a capsule to gather environmental samples when the right conditions are met. Roll-to-Roll Surface Wrinkle Printing allows for mass-production of micro- and nano-scale wrinkles, the same wrinkles that help geckos climb walls and give butterfly wings their never-fading color. According to Dr. Xu Zhang, who does research alongside Stebe, the tech could prove useful in biomedicine, optics, stretchable electronics, or even as a dry adhesive. Past Y-Prize participants have applied featured tech to unmet needs in a range of fields, spanning medicine, food production, mineral extraction, electronics, education, and more. VisiPlate, winner of the 2017 Y-Prize and the 2018 Penn President’s Innovation Prize, was just one example of a team who looked outside of the box. 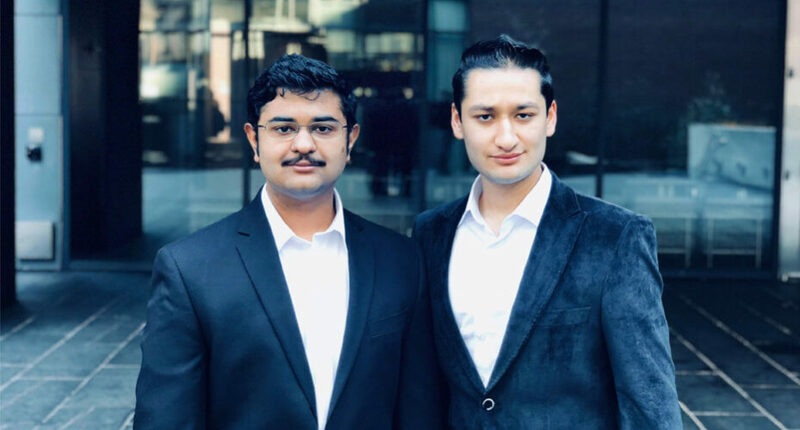 Vikram Krishnamoorthy, C’20, W’20, and George Pandya, E’20, W’20, of last year’s runner-up team Carbolytics, recalled their Y-Prize experience and how it led to CytoFoundry, their manufacturing platform for faster, more affordable cell therapies. “I remember walking outside of the first info session. Everyone was like, ‘Oh yeah, so it’s going to be a biosensor probably,’” Vikram said. The 2018 winner, however, was Cellview Sciences, who proposed using carbon nanopipettes to screen in vitro fertilized human embryos for genetic abnormalities. Fellow finalists presented plans to deliver gene therapy to patients with life-threatening skin diseases, as well as make airplane exteriors more aerodynamic. The Y-Prize was what brought Vikram, who’s studying biology and health care management in the LSM Program, and George, currently studying mechanical engineering and operations in the M&T Program, together. “It got us the type of talent, the type of skills we needed, in the same room,” said Vikram. It also pushed them out of their comfort zones and gave them valuable pitching experience. The next Y-Prize event, “Creating Your Proposal,” will be taking place the week of October 22. Subscribe here to follow competition updates. The Y-Prize is often likened to an inverted version of the more famous XPRIZE. Three Penn professors, Vijay Kumar, Mark Yim, and David Hsu came up with the idea for the entrepreneurship innovation competition. What started out as an in-class competition for Prof. Hsu’s Entrepreneurship course was launched into a School-wide competition with help from the Mack Institute for Innovation Management and the Weiss Tech House. A number of other sponsors now support the Y-Prize, including The School of Engineering and Applied Science, Penn Wharton Entrepreneurship, the Penn Center for Innovation, and the IP Group. The technologies used for the Y-Prize competition have been developed by Penn faculty but do not yet have a commercial purpose. Participating teams, which all need to include at least one Penn student, have to come up with commercial applications and submit their pitch. The winning team receives $10,000 to make proposal a reality. Read about last year’s Y-Prize finale here.